If you want to save money, help the environment, and engage your creative side, look no farther than the art of upcycling. Not to be confused with recycling, the practice of upcycling transforms unused or discarded articles into useful items of greater value. 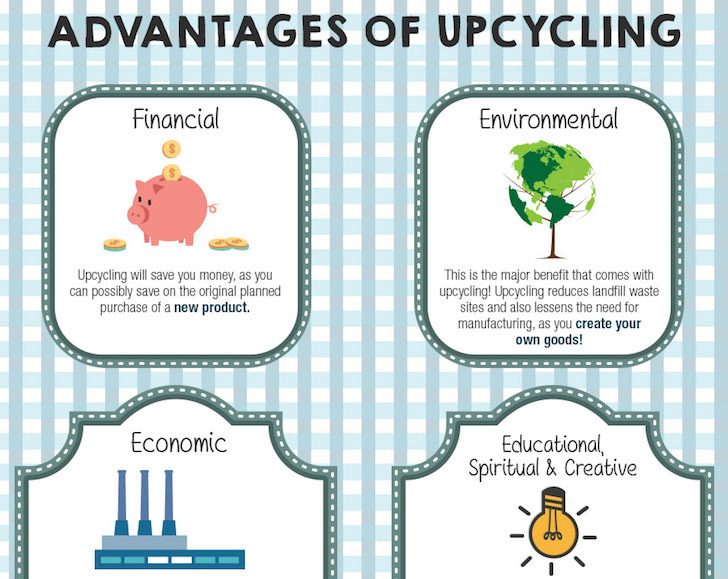 Cleaning Services Group created an infographic that examines the benefits of upcycling and showcases some simple and stylish upcycling projects that any DIY novice can easily master. Upcycling does not utilize Waste, for it will be recycling. It utilize items which did not become waste due to the fact of stopping them before placing in garbage bin. It seems to be small difference, but this is biggest issue of all. 3R has to change to 6R to make the difference.